want without the noise you dont. 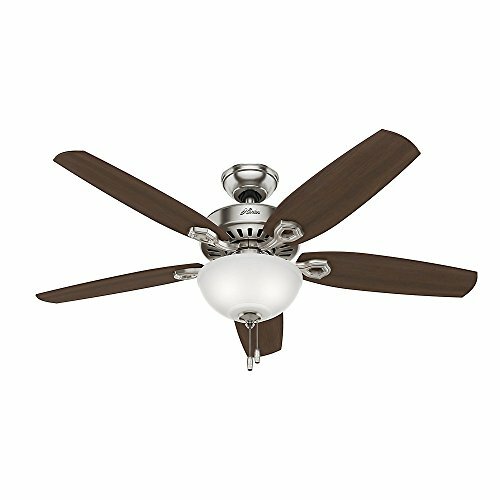 Lifetime limited warranty fan motor, 1 year limited warranty on parts excluding motor, glass globes, or light bulbs. 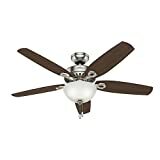 Hunter Fan Company 53364 Hunter 56" Builder Room Brushed Nickel Ceiling Fan with Light Pwt, Nickle, B/S, Silver.